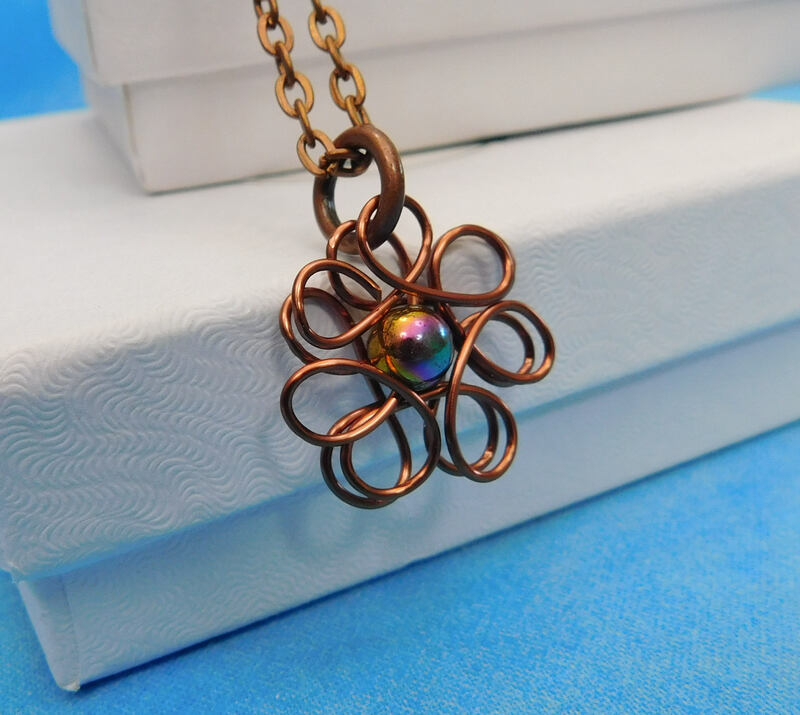 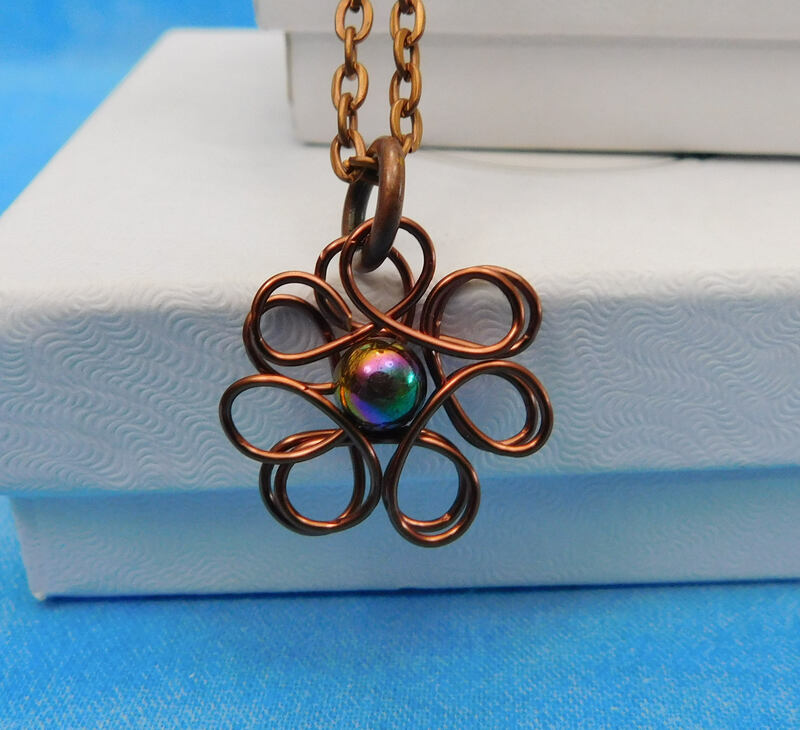 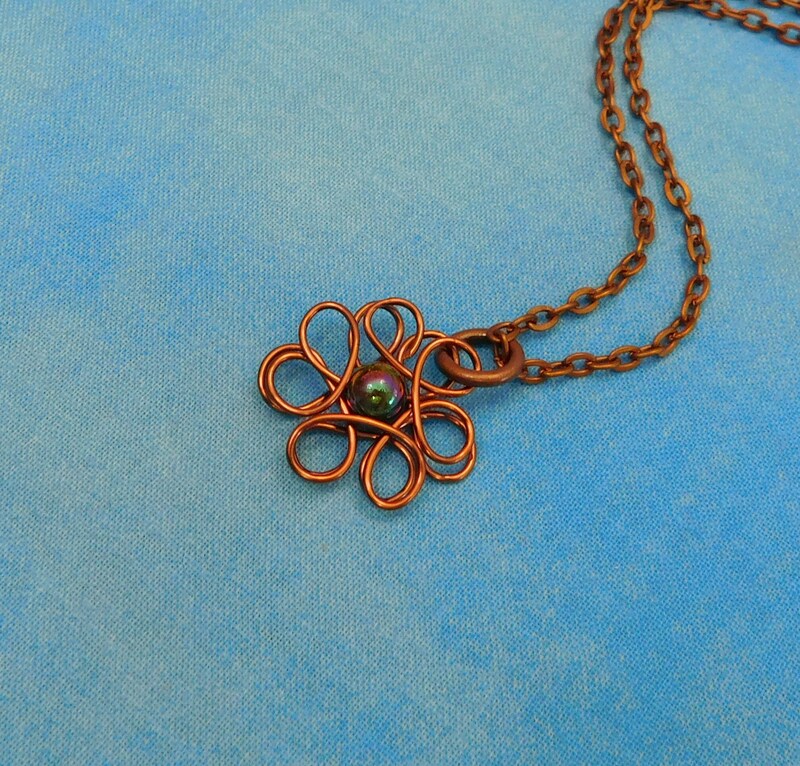 A Copper colored pearlized shell bead is sculpted within the center of petals created with non tarnish copper wire. 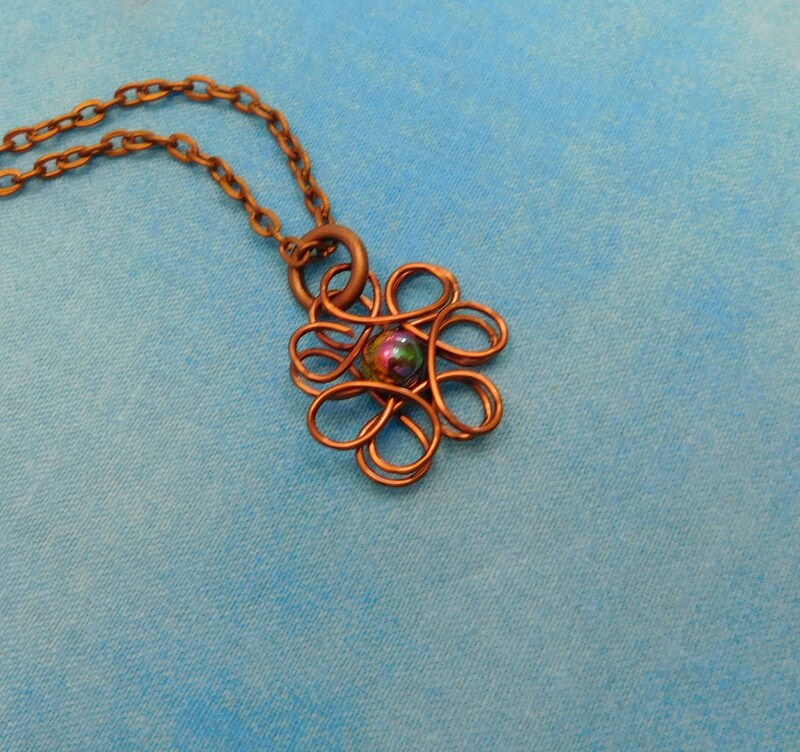 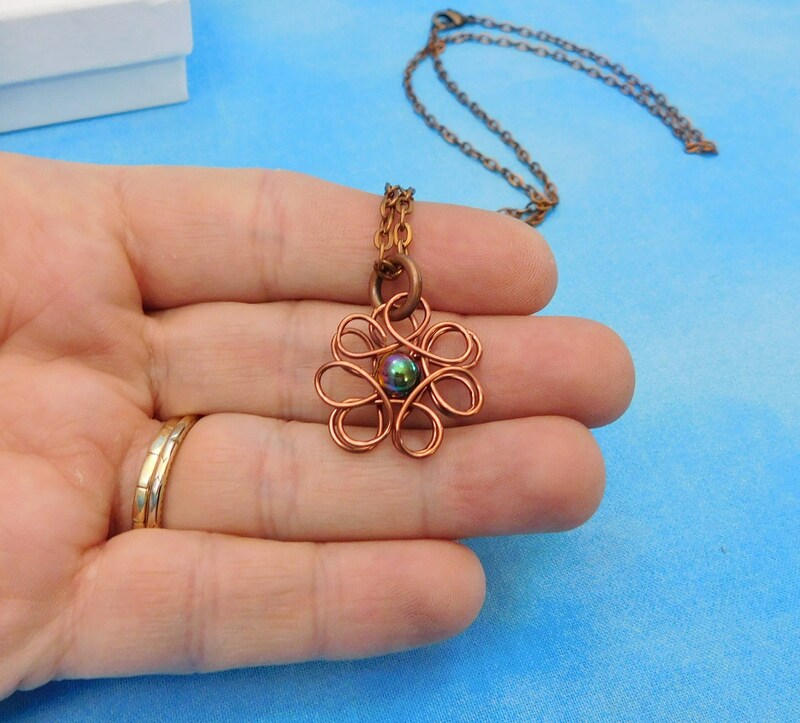 The bloom of rich copper coordinates well with many colors and styles of clothing. 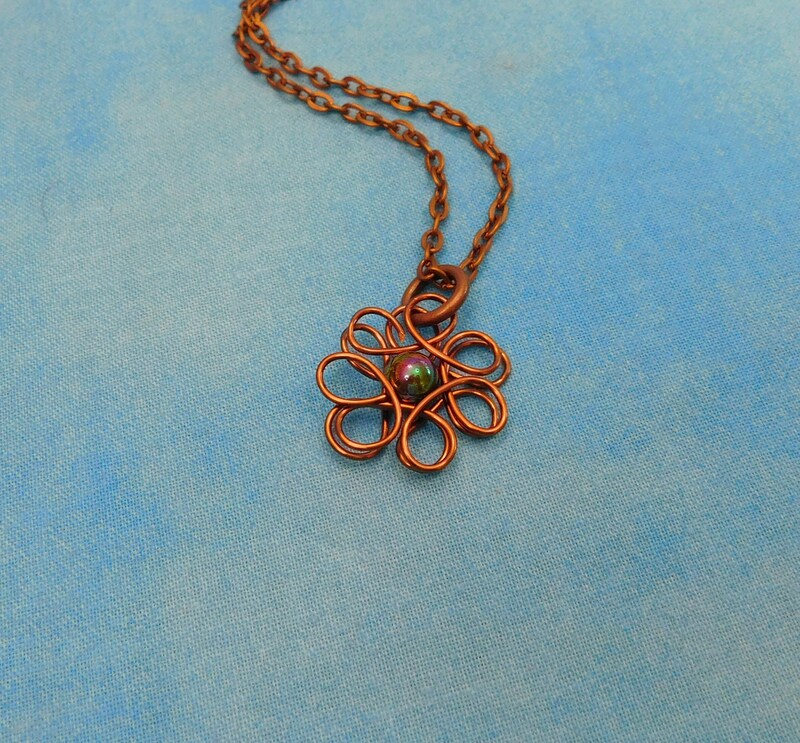 It's the perfect, simple accent piece any woman would appreciate. 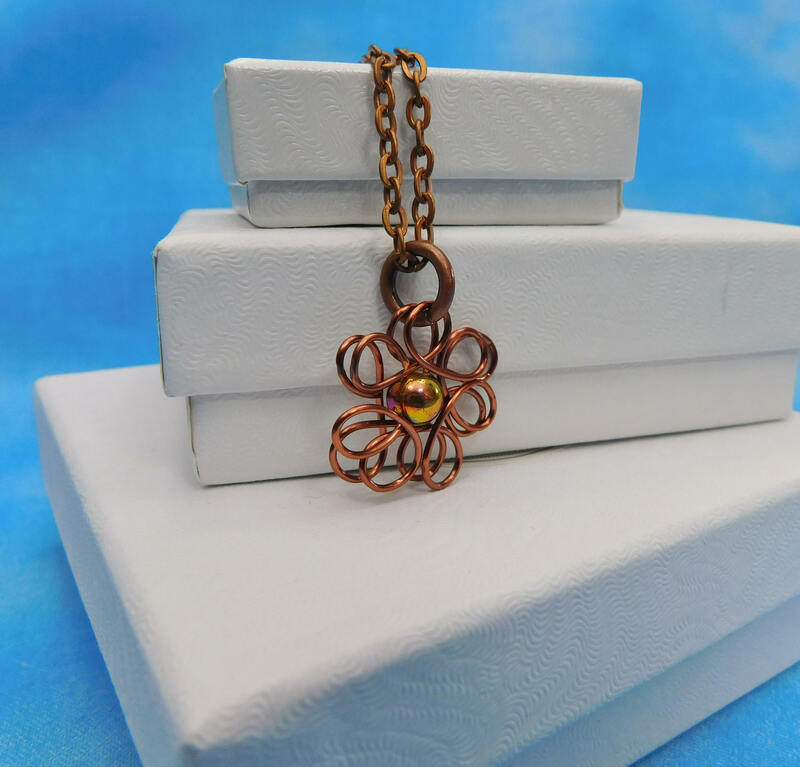 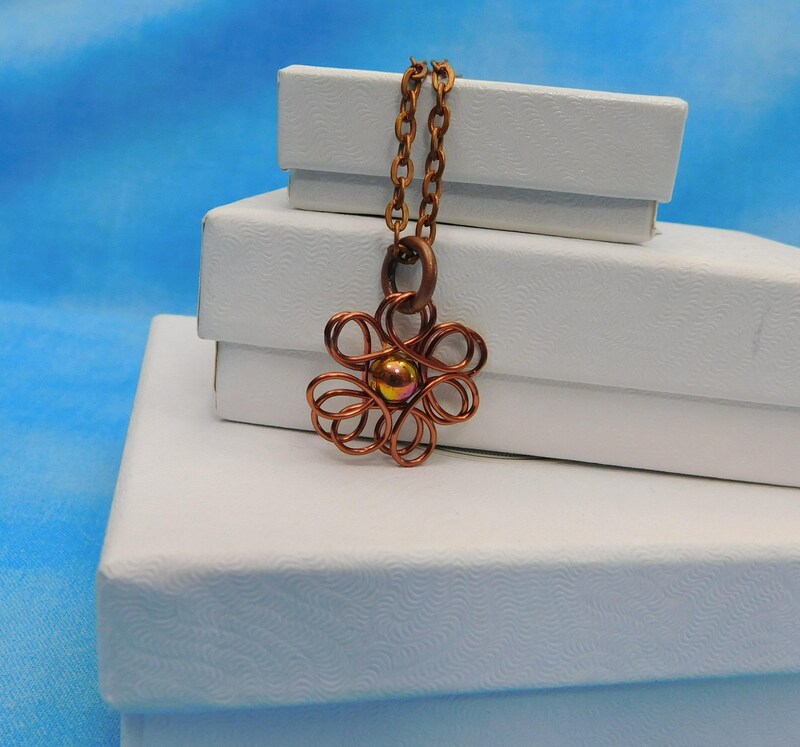 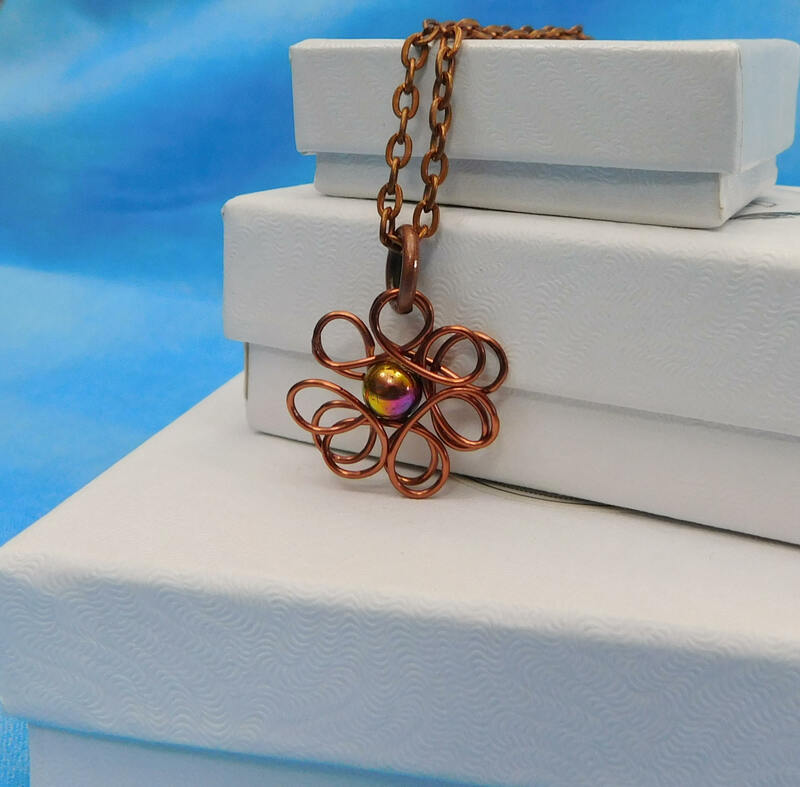 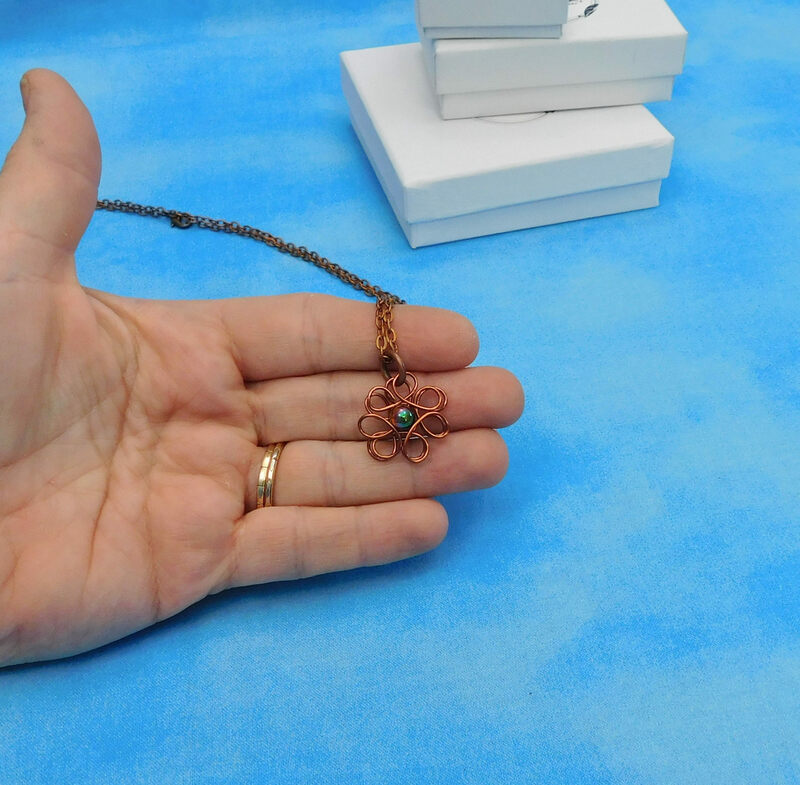 The flower measures 3/4 inches each direction and come with a FREE coordinating chain with lobster claw clasp, measured to your preferred length.